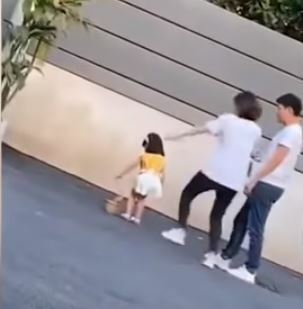 Stores in China have cut ties with the mother of a child model after she was caught kicking the three-year-old for not working hard enough. The child, who is known as Niu Niu, has reportedly worked as a fashion model for about six months, and is popular among online stores who want youngsters to model their products. According to a video report from BJ News, as reported by the MailOnline, Niu Niu spent the whole day on Monday (April 8) working on photo shoots. However, the three-year-old’s mother apparently got frustrated with the child, despite having worked her all day. The footage was shared on Chinese social media site Weibo, where it garnered a lot of attention and negative reactions. One shop owner, who has worked with Niu Niu before, told BJ News that the model had been overworked. She’s not even old enough to go to nursery, and yet her mother reportedly sought ‘many orders’ from various clients in order to make money. In China, an experienced child model can earn around 80-150 yuan (£9-17) for each outfit they model, and they are usually expected to complete one photo shoot within four minutes. A shop named Sweet Grandpa Baby, who Niu Niu has also modelled for, condemned the mother on social media. We only realised today that [Niu Niu’s] mother is so unloving. This is infuriating. Other stores have removed the child’s photographs in protest of the mother’s unacceptable behaviour. Niu Niu’s mum, who remains anonymous, issued a statement on Weibo, where she denied allegations of child abuse but thanked the public for pointing out her mistake. I had no intention of harming or abusing her, and I’m sorry for any misunderstanding my exaggerated actions may have caused. I want to reiterate: my daughter receives the utmost care and love. Thank you for your understanding. 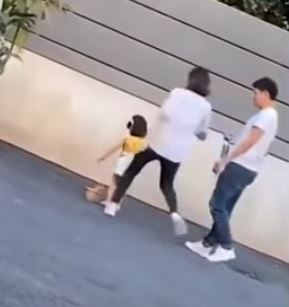 In an interview with BJ News, the mother said Niu Niu wasn’t injured from the kick, and explained she acted out under stress as the young girl kept running towards the road. Chinese advertising laws prevent companies from using children under 10 years old as spokespeople, so any money Niu Niu makes is believed to be received by her parents.